I would like to present to your attention an interseting city and an even more interseting hotel where you can relax and have fun, and maybe I will also do the same. The city is Vidin and the hotel is the Avramov Hotel. The name sounds calssy and it really is – a special place for special people as they say. This is the newest hotel in Vidin, situated on the beautiful Danube River. Can I make it sound more romantic than that? The hotel has 11 double rooms, two suits, two VIP suites with three bedrooms and a living room. All rooms have TV, internet and room service available, 7 of them have a minibar installed. The hotel is as comfortable as possible for its guests. The hotel's restaurant can satisfy all tastes. It can seat 40 people and the furniture and atmosphere in the hotel and the resaturant is contemporary and modern. 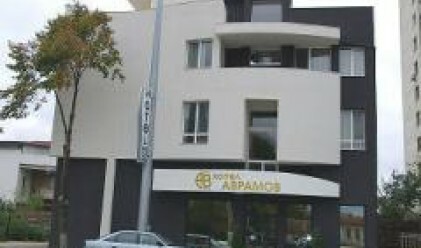 And Avramov Hotel offers more than just accommodation – it has a village tourism complex situated in the village of Sinagovitsa, just 15 km away from Vidin and near the area of Bojuritsa. In case you get too exhausted there the, base offers 2 rooms with three beds, two double rooms, a dining room seating 10 to 12 people, three bathrooms and an outside bar and barbecue. All this is created to ensure an unforgettable weekend in the countryside. Now how much do these pleasures cost? If you wish to be alone in a room the price for a single room is 36 leva. These are your options if you have company: double rooms start at 48 leva and if you wish to indulge in a more luxurious holiday you can book the VIP suite for 120 leva per night. If you prefer having a walk in the countryside and spending the night in the village tourism complex you only have to pay 15 leva per night. As I usually say in the end „It's time to pack your bags and go!“. You might take a guitar as well – a night in the woods, by the fire, playing music is what comes to my mind when someone mentions a weekend in the countryside.